Generic - MP301008 GENERIC - TELLURIDE HOT SWAP TRAY SLED BRACKET FOR HP TC3100 TC4100 AND SURESTORE SERVER COMPUTER SYSTEM SERIES (MP301008). NEW. IN STOCK. SHIP SAME DAY. Generic - MP101095 GENERIC - U320 ULTRA 2/3 HOT SWAP TRAY FOR 1.0 INCH SCA HARD DRIVE (MP101095). NEW. IN STOCK. SHIP SAME DAY. 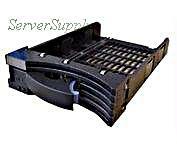 Hewlett Packard - 378343-002 HP/COMPAQ - 2.5 INCH SAS TRAY CARRIER (378343-002). NEW. IN STOCK. SHIP SAME DAY. 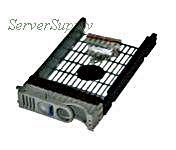 Hewlett Packard - D6128A HP/COMPAQ - HOT SWAP TRAY FOR LOW PROFILE LH3000 6000 (D6128A). REFURBISHED. IN STOCK. SHIP SAME DAY. Hewlett Packard - P7712A HP/COMPAQ - TELLURIDE HOT SWAP TRAY SLED BRACKET FOR HP TC3100 TC4100 AND SURESTORE SERVER COMPUTER SYSTEM SERIES(P7712A). NEW. IN STOCK .SHIP SAME DAY. Dell - G176J DELL - 2.5inch SAS/SCSI HARD DRIVE TRAY (G176J). NEW. IN STOCK. SHIP SAME DAY. Dell - G281D DELL - 2.5inch SAS/SCSI HARD DRIVE TRAY (G281D). NEW. IN STOCK. SHIP SAME DAY. 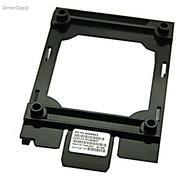 Dell - F830C DELL - 2.5 INCH SAS HARD DRIVE TRAY (F830C). NEW. IN STOCK.SHIP SAME DAY. 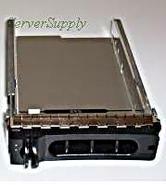 IBM - 39Y8998 IBM - ULTRA 320 HOT SWAP SUPER SLIM HARD DRIVE TRAY FOR ESERVER XSERIES (39Y8998). REFURBISHED. IN STOCK..SHIP SAME DAY. IBM - 39Y8108 IBM - 2.5 INCH SAS HOT SWAP HARD DRIVE TRAY FOR BLADECENTER (39Y8108). NEW. IN STOCK. SHIP SAME DAY. 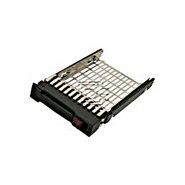 Generic - MP301020 GENERIC - HOT PLUGGABLE HARD DRIVE TRAY WITH SCREWS FOR HP 9000 SERVER (MP301020). NEW. IN STOCK. SHIP SAME DAY. Generic - MP601011 GENERIC - HOT SWAP TRAY FOR DELL POWEREDGE(MP601011). IN STOCK.SHIP SAME DAY. 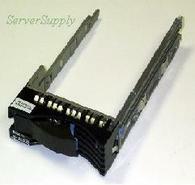 Generic - MP601006 GENERIC - 2.5 HOT SWAP TRAY FOR POWEREDGE 1950 2950 (MP601006). NEW. IN STOCK.SHIP SAME DAY. Generic - MP201018 GENERIC - HOT SWAP TRAY FOR 3.5 INCH SAS HARD DRIVE. COMPATIBLE WITH X SERIES 3400 3500 (MP201018). NEW. IN STOCK. SHIP SAME DAY. Dell - KF248 DELL - 2.5 INCH SAS HARD DRIVE TRAY (KF248). NEW. IN STOCK.SHIP SAME DAY. IBM - 44T2216 IBM - 2.5 INCH SAS HOT SWAP TRAY(44T2216). NEW. IN STOCK. SHIP SAME DAY. IBM - 02R9063 IBM - 2.5 INCH IDE HARD DRIVE MOUNTING TRAY FOR BLADE CENTER (02R9063). NEW BULK.IN STOCK. SHIP SAME DAY. 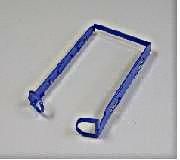 Sun - 541-0239 SUN - SPUD SAS HARD DRIVE MOUNTING BRACKET TRAY CADDY (541-0239). REFURBISHED. IN STOCK. SHIP SAME DAY. 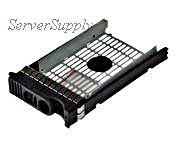 Hewlett Packard - 361640-001 HP/COMPAQ - HARD DRIVE MEDIA TRAY FOR PROLIANT DL145 SERIES (361640-001). REFURBISHED. IN STOCK.SHIP SAME DAY. 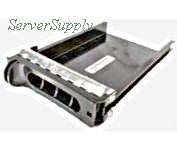 Dell - R3933 DELL - SCSI HOT SWAP HARD DRIVE TRAY CADDY CARRIER FOR POWEREDGE (R3933).REFURBISHED. IN STOCK. SHIP SAME DAY. Dell - MC153 DELL - MC153 SCSI HARD DRIVE TRAY FOR POWEREDGE 1855 AND 1955 (MC153).REFURBISHED. IN STOCK.SHIP SAME DAY. Sun - 541-2123 SUN - 2.5 INC CLEAN PULL SUN MARLIN SAS HARD DRIVE TRAY (541-2123). REFURBISHED. IN STOCK. SHIP SAME DAY. 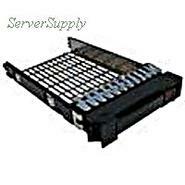 Hewlett Packard - 313370-002 313370-002 HP Proliant Universal Carrier Fibre Channel Scsi Hot Swap Tray. New Bulk Pack. Hewlett Packard - 60-00000272 60-00000272 HP SAS DRIVE TRAY 3.5 MSA2 SCREWS. New Bulk Pack. Dell - JV1MV JV1MV Dell Hard Drive Tray Caddy 1.8inch For Dell Poweredge M420. New Bulk Pack. 3M - Keyboard Tray Standard Knob - 17in Track All-In-One Gel Wrist AKT60LE MMMAKT60LE pg.765. 3M - Keyboard Tray Standard Knob - 17in Track All-In-One No Tools AKT65LE MMMAKT65LE pg.765. Dell - XJ422 XJ422 Dell Poweredge 1950 Rack Tray Release Bracket. New Bulk Pack. Sun - 540-3258 540-3258 SUN Blade 100 Disk Drive Mounting Tray. New Bulk Pack. Hewlett Packard - 675769-001 675769-001 HP 2.5 TO 3.5 Mounting Bracket Adapter With Caddy Tray For Hp Workstation. New Bulk Pack. 3M - Keyboard Tray Adjustable Lever - 21.75in Track Mouse Platform Gel AKT100LE MMMAKT100LE pg.763. 3M - Keyboard Tray Adjustable Easy - 23in Track Mouse Platform Gel AKT150LE MMMAKT150LE pg.762. 3M - 3M Adjustable Keyboard Tray - Black AKT70LE MMMAKT70LE pg.764.